Click on photos for larger view. Use browser "back" button to return. 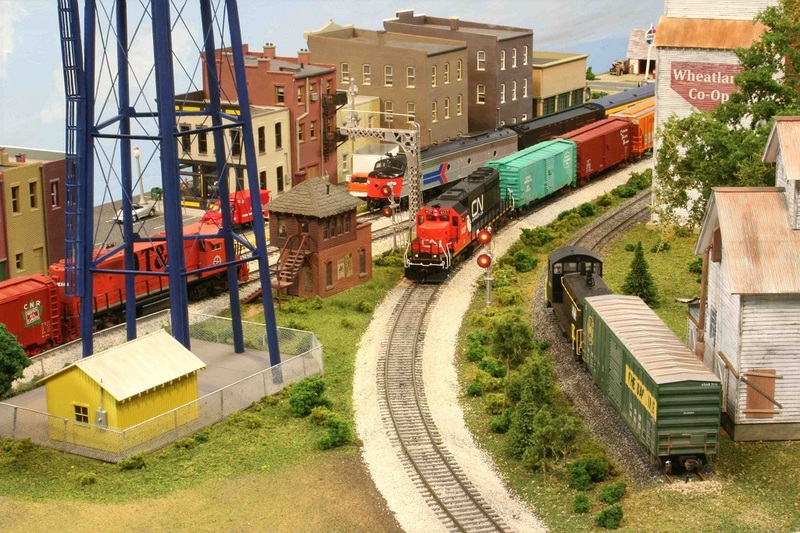 The Move It On (MIO) Railroad System is an N Scale 90-foot shelf/peninsular model railroad layout with 315 feet of mailine, siding, and yard trackage. 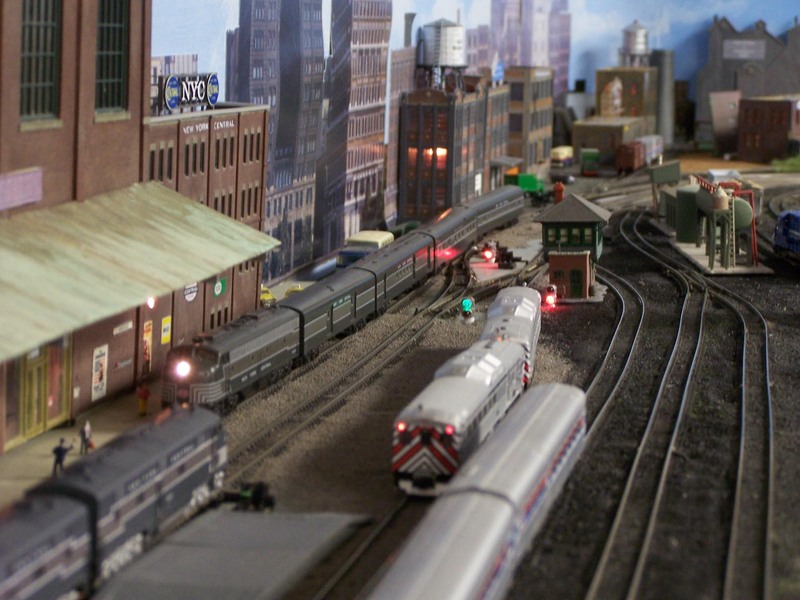 It has 262 feet of mail line with 5 yards: Pontiac (passenger/freight), Chicago (passenger), Flint Yard, Lexington Yard, and Ft. Harris Yard. 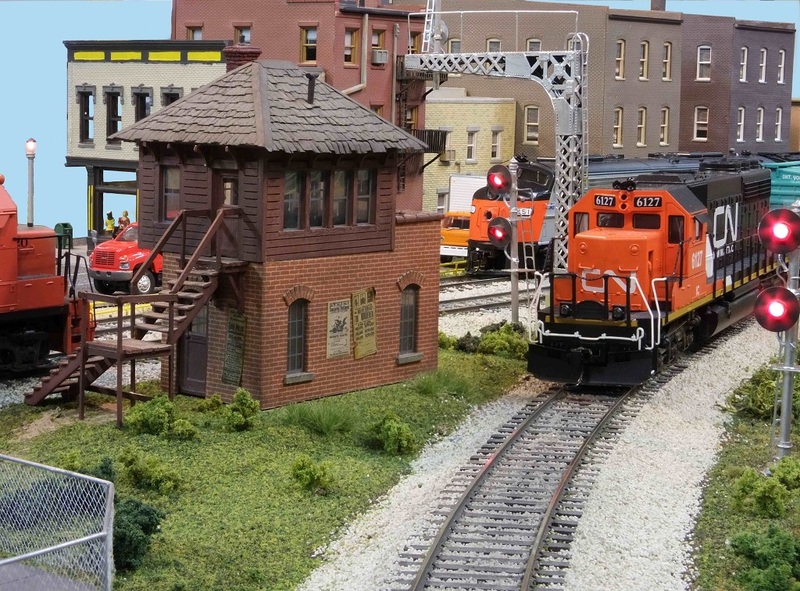 The layout is DCC (NCE System) and is designed for operating sessions. 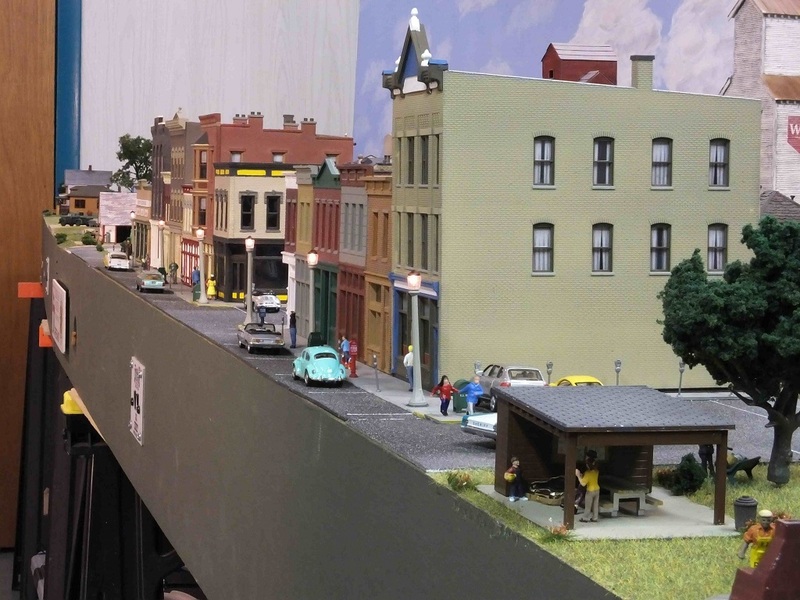 The MIO System's logo is "The Community's Link to Outside Markets" as it provides service to nine communities depicting a Midwest section of the United States in the 1960's-70's period. 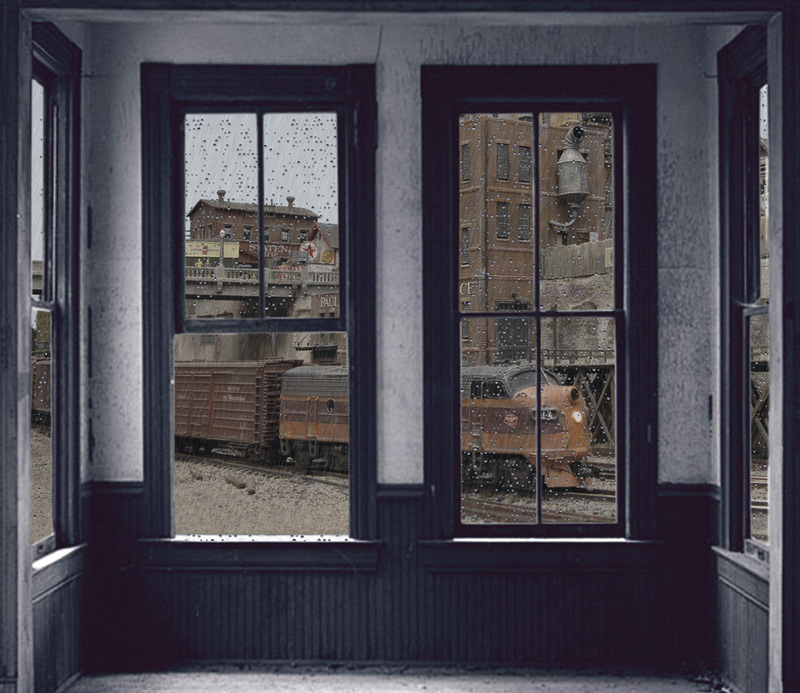 It is based loosely on the New York Central and includes towns which hold special memories or significance. Industries and shops are named for friends and family members. 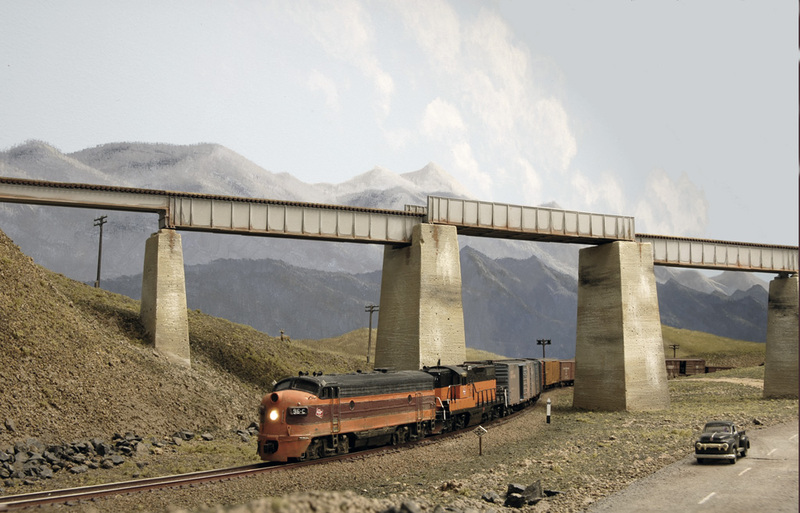 The North Montana Line was a prototype division of the Milwaukee Road in Central Montana. Indeed it was the only division (the Rocky Mountain Division) that had their offices anywhere other than on the main line. 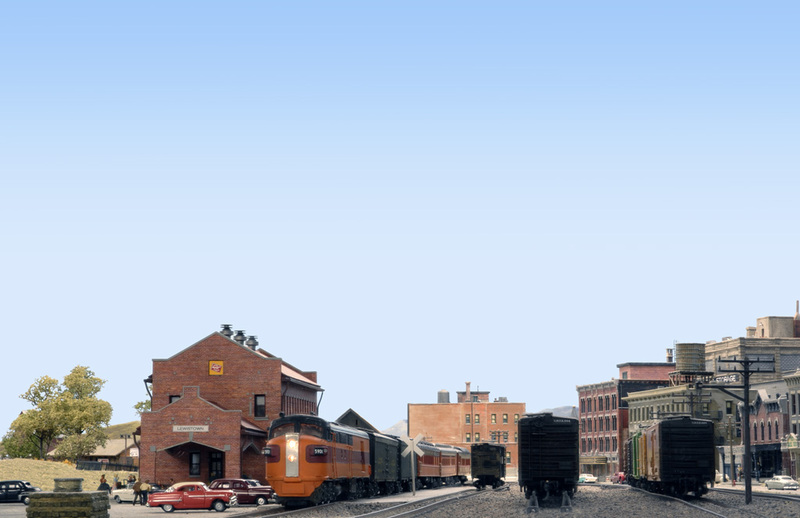 The 275 mile branch extended northward from the east-west trunk-line from Harlowton to Lewistown to Great Falls and beyond serving about 50 communities, providing transportation for grain, livestock, and the commercial vendors of the area. 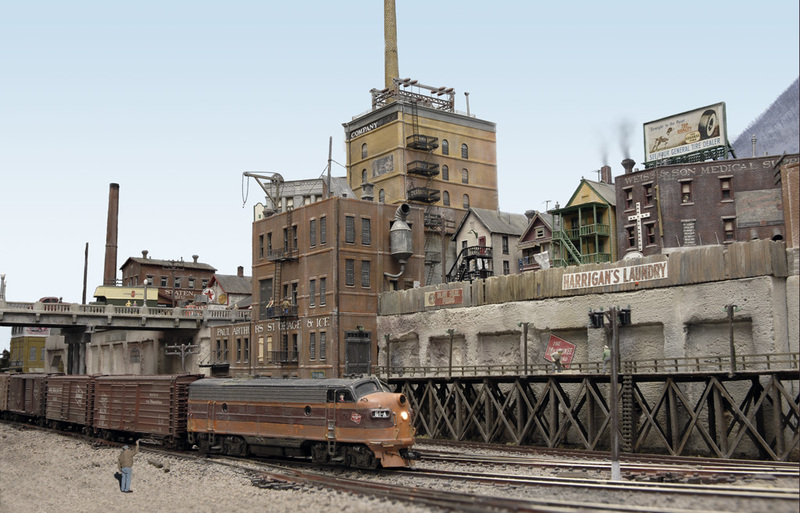 I model the branch as it appeared in 1953, which was the final year for steam and the beginning of dieselization. 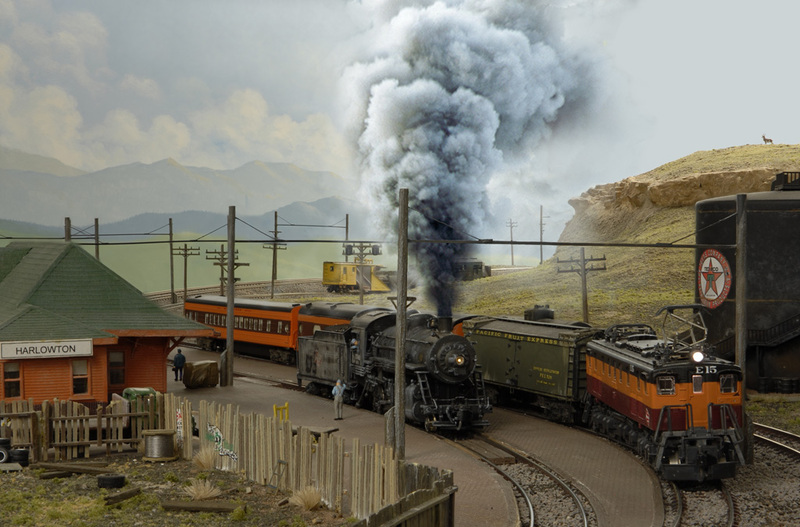 For the whole of its existence the North Montana Line was a "dark line", so Timetable Train Order operations were standard. What is now left after the MILWs fallen flag are segments used by the Central Montana Railroad shortline and BNSF. 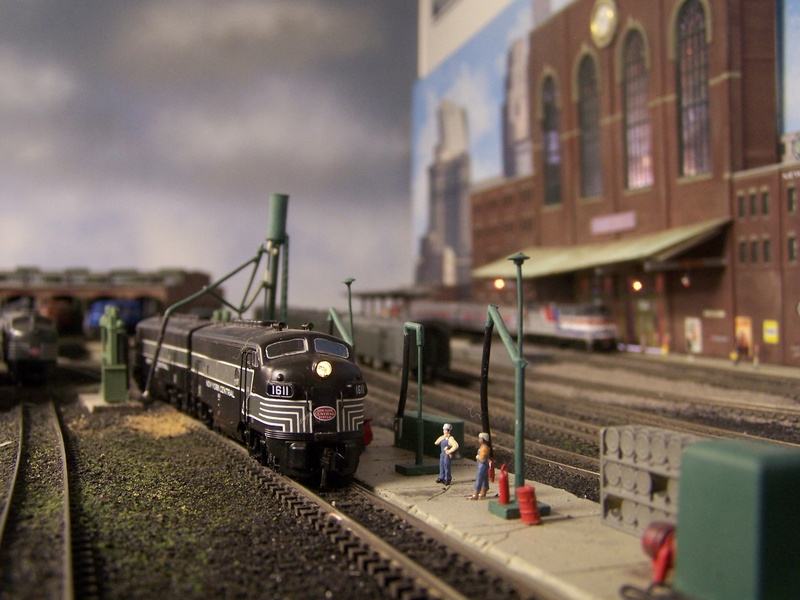 Otherwise, the track is removed and the most visible remnants are the signature art deco stations at Lewistown and Great Falls. 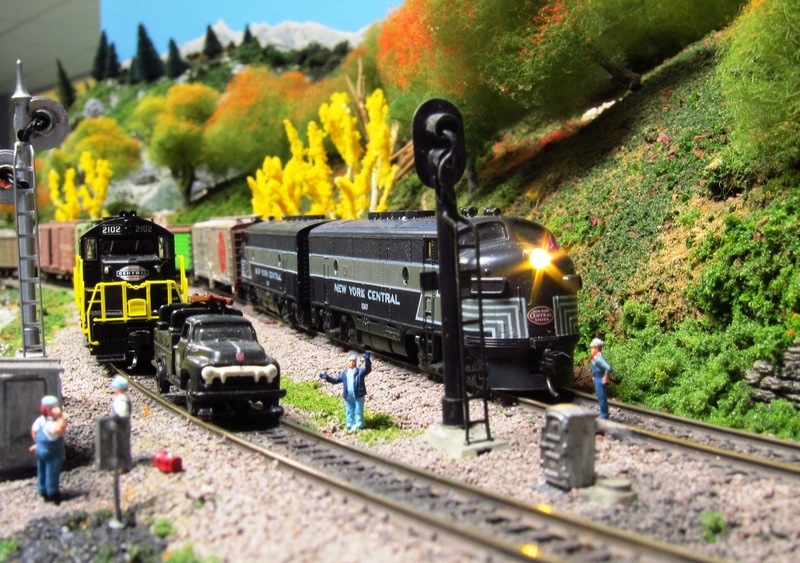 The Rochester & Richmond is a freelanced railroad in Appalachia region in the late steam era, with steam locos the primary power. 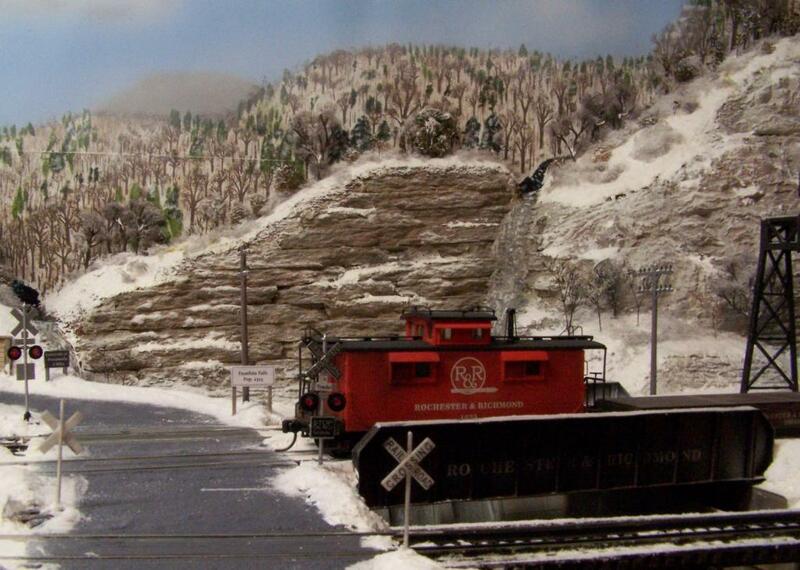 Completed scenery ranges from industrial towns to mountains and includes a winter scene. 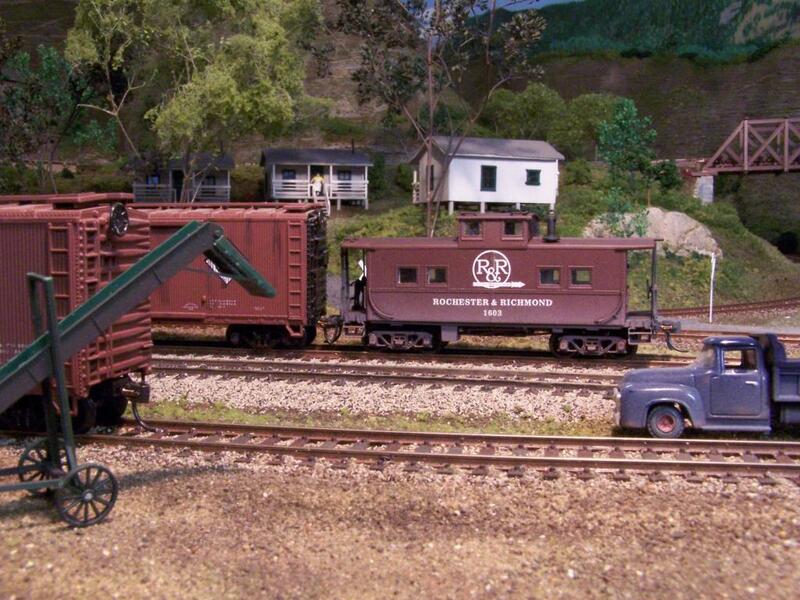 Wheatland Junction and Bailey's Boats and Bait are portable modules built to the Free-mo standard. 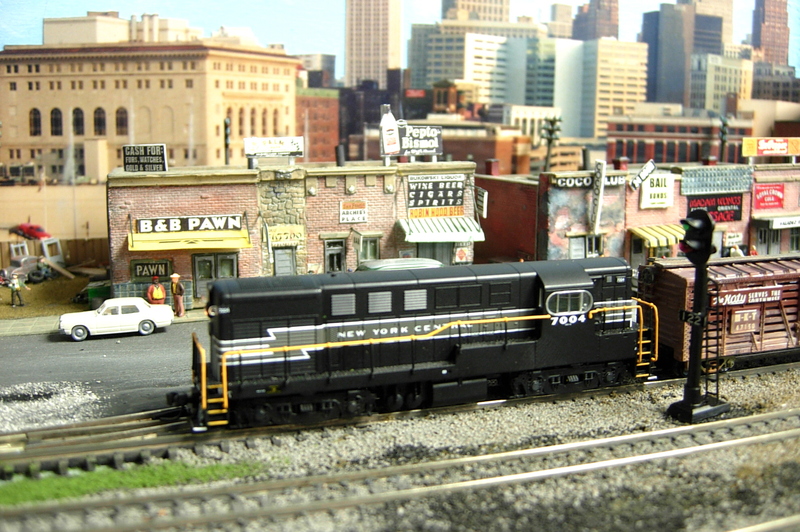 This standard is based on point-to-point transportation rather than continuous oval running like N-Trak and the NMRA HO module standards, thus allowing modules to be any length and shape so long as the joining end-plates are compatible and a few other track and electrical rules are met. 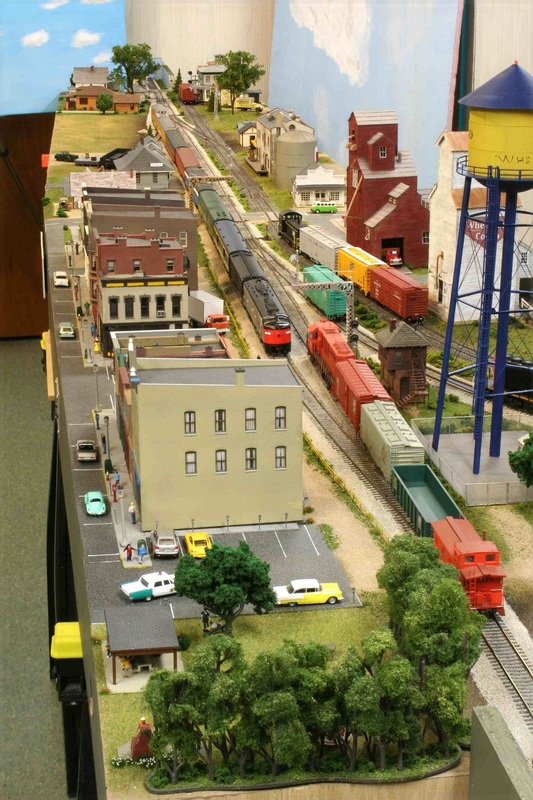 Wheatland Junction, which is over 14' long, represents a small midwestern town any time between the 1960's and today. 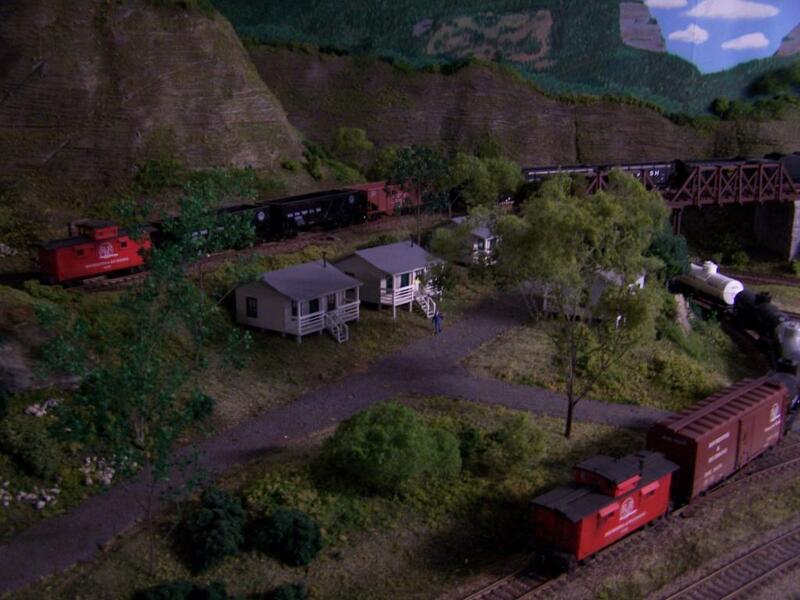 In addition to the main line, it includes a passing siding, a short team track, an industrial spur, and a branch line junction. 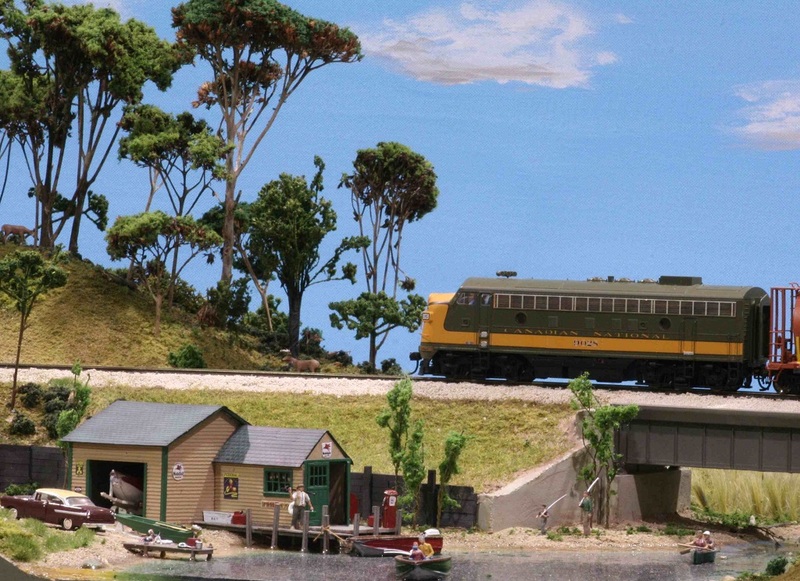 Bailey's Boats and Bait is a short companion module designed to continue the branch line around a 90 degree corner. Bailey's is a river/lake scene featuring a bridge and a boat and bait shop. 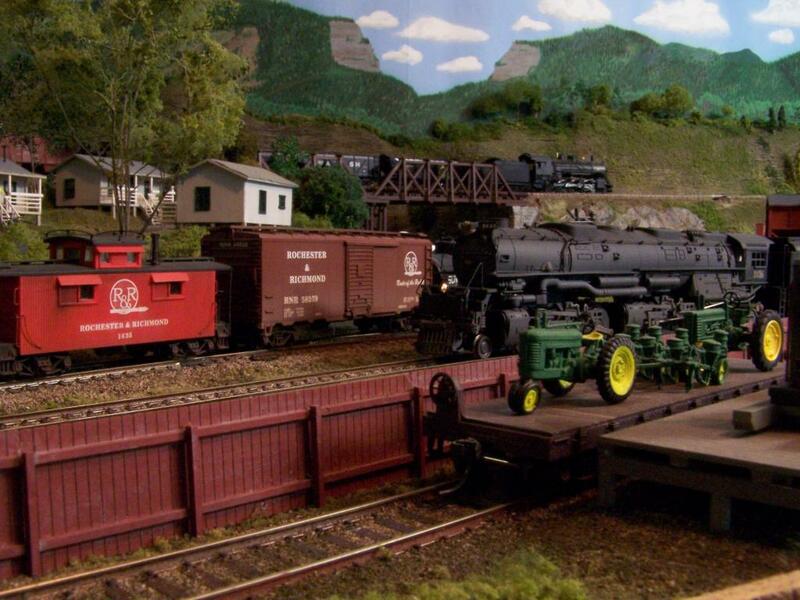 An extensive description of these modules appeared in the July 2014 issue of NMRA Magazine.